The NCAAs are upon us: After advancing to four consecutive national semifinal appearances, including a second-place finish last year, it may seem that the No. 8 Maroons are already sizing up a potential quarterfinal matchup against No. 2 Claremont–Mudd–Scripps. The story all year long has been that the Maroons lost three top performers—Kendra Higgins, Jennifer Kung, and Carmen VacaGuzman—to graduation, yet the Maroons have been consistently one of the top teams in the country. Therefore, Chicago (16­–5) is not overlooking any teams in this weekend’s NCAA Regional at the Stagg Field courts. With a first round bye, the Maroons face the winner of Friday’s Ohio Northern–Edgewood match on Saturday. Although Tee did not specifically mention the Edgewood Eagles (18–11), he recognized the Ohio Northern Polar Bears’ (26–4) dominance this season. The Polar Bears are currently riding a 13-match winning streak. Still, Ohio Northern was shut out 9–0 by No. 24 Case (12–9), a team the Maroons beat 8–1 in two separate meetings this season. If Chicago advances to Sunday’s 12 p.m. Regional final, they will play No. 26 UW–Whitewater (20–8), Carleton (15–7), or Grinnell (14–8). 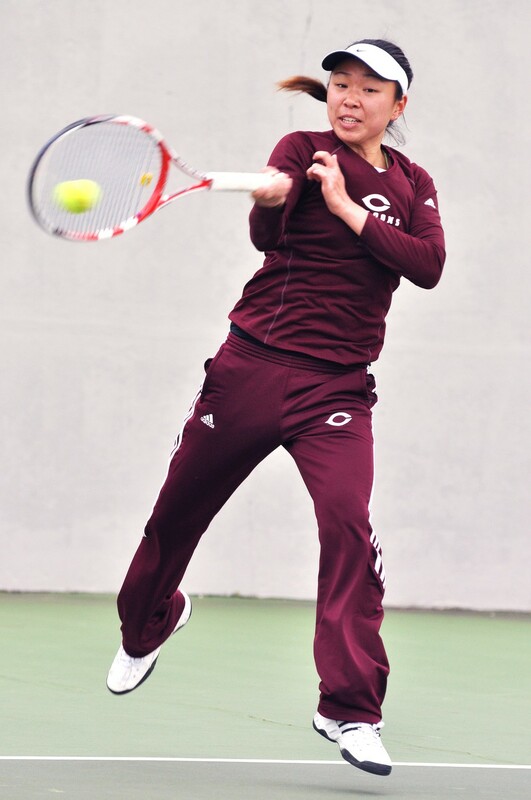 The Maroons played and beat UW–Whitewater 9–0 at the ITA Indoor Championships in March and Carleton 6–3 later in the month. Even with Tee’s analysis of Chicago’s potential opponents, these past two weeks he has clearly emphasized what the Maroons themselves can do to ensure victories, regardless of their opponent. Tee stressed the importance of doubles. Specifically, there has been a focus on coming to the net instead of rallying from the baseline and on being aggressive and smarter with shot selections. Chicago has a 72.7 winning percentage when it comes to doubles action in tournament play. Still, some of Chicago’s victories could have been losses, given that the Maroons have won many matches 8–6. With their focus in doubles and expertise in singles, Chicago is the clear favorite to take the Regional title. Matches will be held at the Stagg Field tennis courts. If there is inclement weather, matches will be held at Five Seasons Sports Club in Burr Ridge, IL. The South Siders will hit the courts against either Ohio Northern or Edgewood on Saturday at 2 p.m.